Four years ago I walked into Interweave's offices in Loveland, Colorado, to interview for a job. 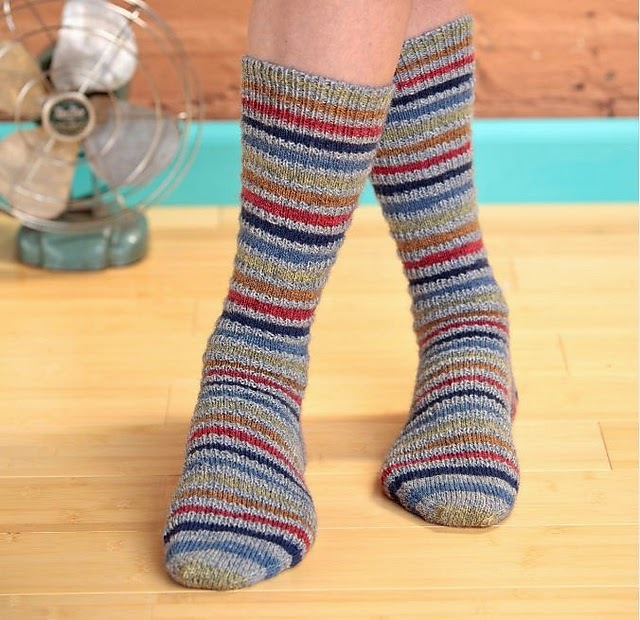 It was for the role as an assistant editor on a groundbreaking new eMag, Sockupied. The interactive eMag was in its infancy, and it was quite a thrill to work alongside the editor, Anne Merrow, developing ideas for reviews, articles, interactive features and yarn concepts. What is truly unique about this book is that it is a direct inverse of what is the general pattern in publishing today. While many books are being converted to digital formats, it is rare to see a digital product convert to a traditional printed book. With a strong design aesthetic, incredible patterns and the inclusion of the industry's top sock designers, Sockupied hits it out of the park with this unique digital-to-print transformation. I admit I might be personally biased in my love for this book- the personal connections are strong- reviewing submissions, ordering yarns, following up with designers, seeing the finished designs as they arrive in the office- you can't *not* feel connected to the patterns. 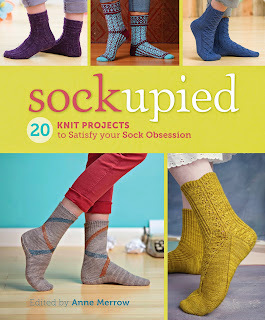 That being said, the sock knitter in me is completely taken by the strength of the twenty patterns in this collection. 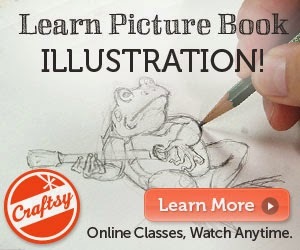 Each pattern has a unique quality that draws me in- an unusual technique, use of color, stitch pattern, or "a-ha!" design element. My absolute favorite pattern in the book is Our Paths Cross by Lorilee Beltman. 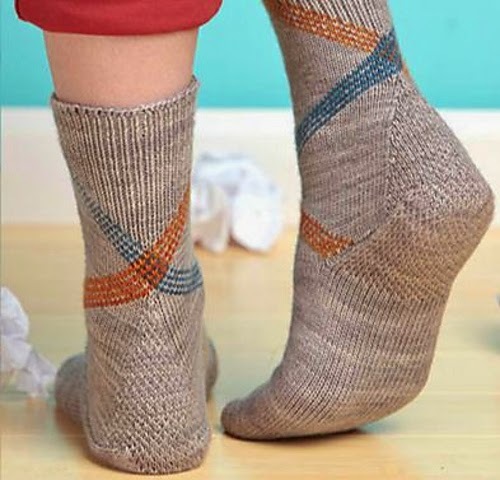 The designer uses an interesting vertical stranding technique to create a wandering diagonal pattern that hints heavily at argyle. I remember being intrigued by this submission as it came into the office, and cannot wait to get started on a pair of my own. 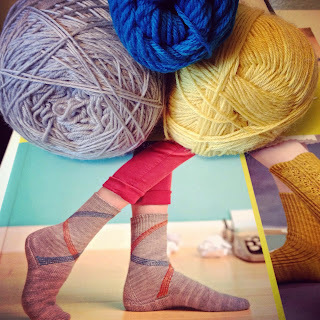 My socks will be very similar to Lorilee's original design- using a simple gray as the background color and contrasting colors of bright teal and sunny yellow. To see all of the patterns from Sockupied visit the source page here on Ravelry. Which pair do you want to cast on first? A review copy of this book was kindly provided to me by the publisher.